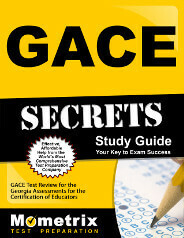 The GACE Reading Assessment is a test designed for individuals who would like to become certified to teach reading, P-12th grade in Georgia. The assessment consists of 2 different tests, which may be taken individually or together on the same day. Both of the GACE Reading Assessment tests are computer-based in format with two hours given to complete each test. An extra 30 minutes is added to the testing time for each test, which covers how to take a computerized assessment. Each test is made up of 80 selected-response questions, such as matching, multiple choice and/or true-false questions. The questions on both tests assess basic reading skills and knowledge, as well as the candidate’s ability to apply these skills in the reading classroom. Test I is divided into 2 subparts: Curriculum and Instruction, which is worth 70% of the total score and Professional Learning and Leadership, which is worth 30% of the total score. Test II is also divided into 2 subareas: Assessment and Evaluation, which is worth 50% of the total score, Diversity and Literate Environment, which is also worth 50% of the total test score. Testing windows are available throughout the year, which makes taking the GACE Reading test convenient. Test results are available approximately 2 weeks after specific test dates. 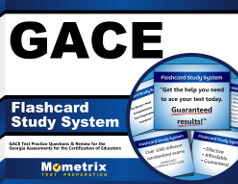 Do you wonder how to prepare for the GACE Reading Assessment? We can help!! There are several types of study materials available to use, such as interactive practice tests, tests at a glance (which give a quick overview of the tests), tutorials, videos, webinars and other strategies and tips. Help instill your love for reading into the youth of today! Register today for the GACE Reading Assessment!